All are invited at 10.00am every Monday, Wednesday, Thursday & Friday morning in our church and anyone is welcome. A small group of ‘regulars’ take it in turn to lead. The meeting closes around 10.30am. You would not have to attend regularly. We start by considering a few, inspirational Bible verses and offering God thanks. We then raise individual, community and wider needs and pray about them. So, it is also a time of fellowship and mutual encouragement between ourselves and The Lord. 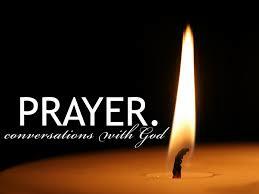 We are learning that He hears and answers our prayers in His own time and ways. Do join us. Contacts – David Dare on 444524 or Brian Stansfield on 442773.